In Part 6 of this How To Promote A Business Online series, we talked about One-Time Tasks. Once those tasks are done, you can commence on the next phase; that is start on the Tasks That Repeat. These will become a regular part of your routine where some are done every month, some every fortnight, some a couple of times a week, and some daily. There may be a few that needs to be done less often, too. There are various ways to deal with these tasks that repeat. One of the ways is for you to do them yourself. Another is to delegate to one of your staff. The best way is actually to subcontract them to a third party who specializes in digital marketing. By hiring experts in this field, you can tap on their expertise. This is especially useful and time saving since this is digital marketing is constantly evolving. The experts will naturally be always on their toes, and be always updated. This takes up a lot of time and effort. You or your staff may not have the time and resources to be continually updated, unless your staff is specially hired for this role. Even then, it is quite a monumental amount of work for one person to be constantly at the pulse of all things digital while doing all the tasks required. Leave it to the experts, I say. Most digital marketing consultants or firms can offer you an à la carte option, or a package covering all your online marketing needs. While I advocate hiring a digital marketing consultant or firm to do the repeated tasks, I do understand there may be budget constrains for some smaller businesses. As such, when you choose to do the repeated tasks yourself, it is best you learn the digital marketing strategies of each task. Also, you need to plan each task into your work week, with some scheduled fortnightly, monthly and maybe even quarterly. Doing these tasks regularly and consistently is vital to the success of your digital marketing plan. I highly recommend that you add each repeated task into your calendar, perhaps with reminders. This will ensure the tasks are done with the frequency that is necessary. There can never be enough emphasis on how important Search Engine Optimization (SEO) is vital to the implementation of your digital marketing plan. The concept was introduced in 6 Things You Should Be Doing chapter, to get your digital marketing plan started successfully. And now, to maintain that success, to keep your local business results and your natural search results ranked high, you must constantly monitor and update this. Local business results can impact your business significantly. More traffic will flow to your business website. And as a result, your phone will start ringing more frequently, bringing more business to you. I have clients who bemoan that their phones hardly ring, even after months of setting up their businesses. Little did they know that they need to be listed in the local business results. It is because their phone number will be listed in the same local business results. Once their business is successfully located at the top of these results, people will start calling, inquiring with interest to make a purchase from them. The same can happen for you when you do the same strategy. And what is this marketing strategy? It is simple. Just submit your business details to the three major local business results sites. When you secure top spots on these sites, do monitor and update your listings regularly, and make sure they are search engine-optimized. This is, without a doubt, the most important local business result site to be on. Google owns slightly more than two-thirds of online traffic. Hence, being on Google My Business is vital to your success. Bing was launched in May 2009 as a fundamental upgrade from Microsoft’s previous efforts into search – MSN Search. It is growing in importance, and hence secures its place as the second major local business results site that businesses must consider. Once upon a time, Yahoo was a major player in the search field. It has since declined, but still maintained its position as one of the top three major local business results sites. 1. Optimize every aspect of your listing with strategic keywords. 2. Reviews can raise your site’s ranking. Get reviews from your clients. 3. Acquire back links from local online directories. 4. Strategically choose the areas you want optimized, even if you need to establish different addresses and phone numbers for other areas. 5. Always get listed in 4 to 5 categories related to your business. 6. People love deals. So place coupons with the listings in order to increase conversion rates. 7. This is a little known trade secret – when naming your YouTube videos and photos, use your keywords in the title. Local business results pick up on select keywords, and use different local modifiers when ranking listings. The challenge is that most listings will include address, phone number, maps and directions to your physical address, website address, and customer reviews. So what will improve your chances of higher rankings? It is customer reviews. Listings with the best reviews containing targeted keywords, in addition to location modifiers, will find their way to the top of the search results. It is not enough to be listed on the three major local business results sites mentioned above. You should seek out other directory listings, and be on them, too. Regularly track any changes in your business, and update your listings so that they remain relevant and consistent with your website and other online collateral. It will also help you monitor what works, and what doesn’t. Also, be patient. This is not something that can happen overnight. Give it 3 to 4 weeks for the results you desire. Natural results are basically results that you do not pay for. They are generated by search engines, and often referred to as organic results. They are typically placed below local searches with map, and paid search results. Most people would consider these to be the most valid type of search results. It is possible to achieve a variety of listings in the natural results. To be included in natural results, you must have relevant content, especially content that has been search engine-optimized. As mentioned before, keyword research is vital to the success of your business website, especially ranking in the natural results of search engines. So do not take this step lightly. Remember, relevance of your content is essential to placement. Congruency and Consistency in Content. Links Pointing Back to Your Business Website or Content. When you are able to get more back links to your business website, you will get higher ranking in search results. So do get links to your site from local directories, blogs, article marketing, social bookmarks, and video marketing. In fact, good relevant content, with keywords and back links can assure you of being at the top of many categories within a given period of time. Links are one of the keys to getting listed high in search engine results. Focus on getting your business website listed in as many places as possible. One of the excellent places to list is on directories. Directory submissions get your business website’s link out there. Do not let naysayers tell you that business directories are outdated. They still have great value in getting back links to your website. When you get listed in directories, you validate your company’s existence for search engines. This creates back links and citations that help the search engines index your company. Newer directories with Web 2.0 capabilities, such as adding reviews, results in creating even more content for a site. 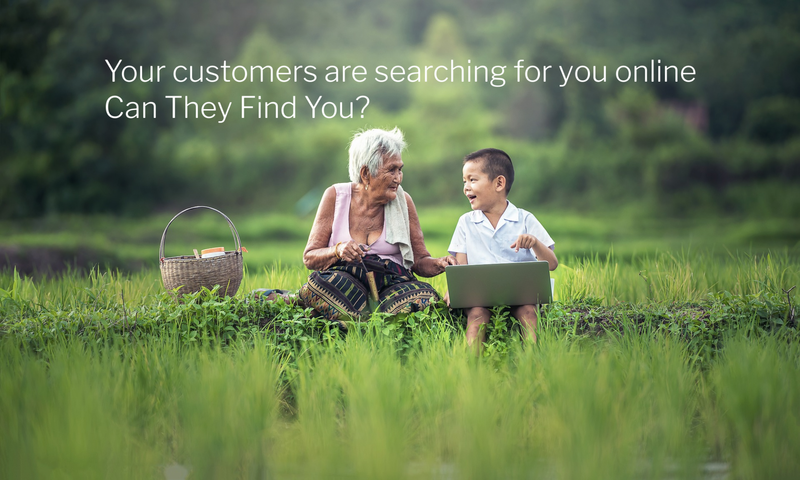 This means better natural search results and local search results for your business. Your presence in relevant directories will get you near the top of results. As a result, your website traffic and phone inquiries will increase. This is why directory submissions are a solid part of any digital marketing plan. But be wary when someone offers you a directory submission service that submits to hundreds or thousands of directories. These services most probably submit to low quality directories that Google frown upon. What you want is to submit manually (either by you or a true digital marketing expert) to a handful of good web directories that have a real human reviewing each submission. Most directories are free of charge. Some may have a fee associated with them. If it is a reputable and powerful directory, it is definitely worth the investment. Major Directory; for example Yahoo Directory where Google crawls all the time. Local Directories, and Specific Group Directories. Industry Specific and Niche Directories. This is becoming one of the most important reasons to have your business in Review Directories. It is a 3rd-party endorsement of your business, and is a vote of confidence that Google can rely on in order to place your business at the top of search results. Citations also create credibility in the eyes of search engines. In other words, the more citations you have, that are linked from other reputable sites, the better for you. Web 2.0 refers to applications on the Internet that allow users to interact. Social networks, video sharing sites, wikis and blogs are some examples of the more commonly used Web 2.0 applications. Businesses use them as an effective part of a digital marketing campaign. In fact, because of the interactivity of these types of applications, many companies use them as an excellent resource for feedback. Comments and suggestions from customers is very important feedback. It offers you insights to your products and/or services that otherwise is almost impossible to get, or will cost a lot to acquire.With the feedback received, you can tweak your products, improve your service, and better serve your customers. You can now be on target with their needs. Testimonials received by customers can help you build credibility and trust. When others see these testimonials, they are more likely to buy from you. Complaints are opportunities. Deal with them with patience, goodwill and professionalism. As you do so, you strengthen your brand and your reputation for good customer service. Another usefulness of these Web 2.0 applications, a major one that drives traffic to your business website, is to create back links to your site. To that end, you will need to make comments on these sites, with links back to your own sites. You will also need to create and update your own blog, videos, and social network identities so that you can share useful information to potential customers. Fans and followers can then easily share all this with others. You are now opening your business to explosive massive growth. When embarking on any writing on the Internet, remember to use keywords strategically in your content, and keep it search engine-optimized. Again, this will ensure that you get the best ranking possible in relevant searches. Therefore, careful use of search engine-optimized content on these sites will help give you the ranking you want in the search engines. We’ve come to the end of the 1st Part of Tasks That Repeat. This is a 4-parter within the How to Promote A Business Online series.